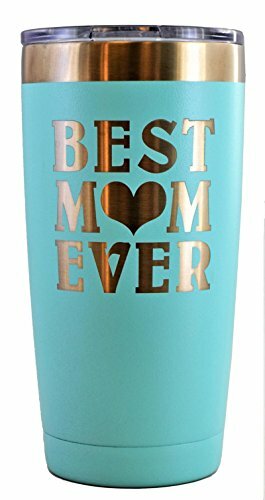 Mother's Day Gifts for Mom 2018 - 20 Gift Ideas She'll Love! 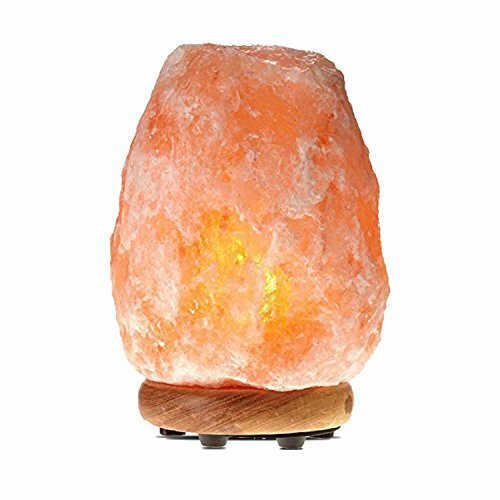 Looking for the top Mother’s Day gifts for Mom? We’ve gathered together our best gift ideas for Mom – you’re sure to find a present she’ll love! 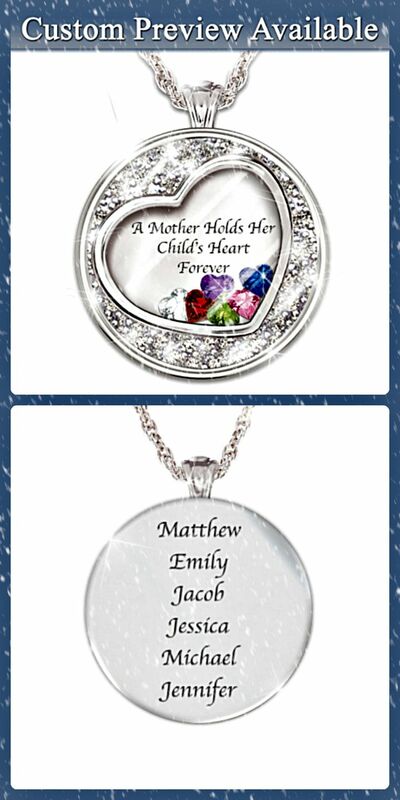 Thrill Mom this Mother's Day with a beautiful personalized necklace that features her kids' names and birthstones! 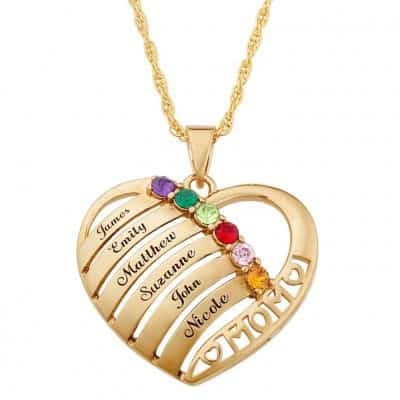 Beautiful necklace features heart-shaped floating birthstones on the front, and her children's names engraved on the back. A fashionable way for Mom to show her pride and joy in her family! 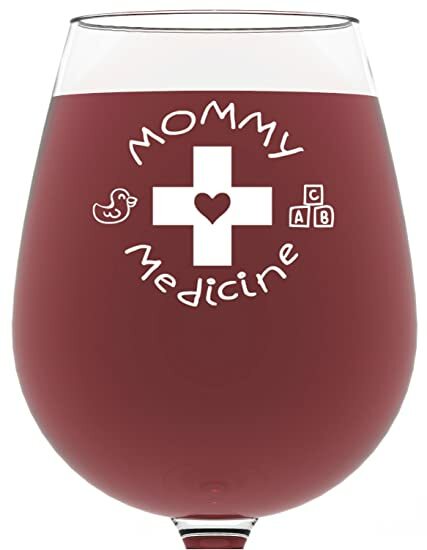 On Mother’s Day, Mom deserves a chance to relax, sit back and enjoy a glass of wine (or several). 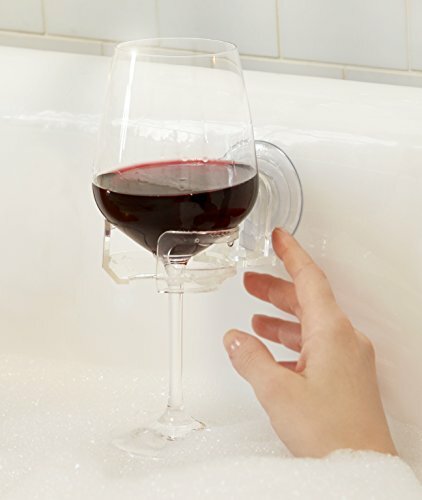 Make Mom’s “me time” more fun with a funny wine glass chosen just for her! 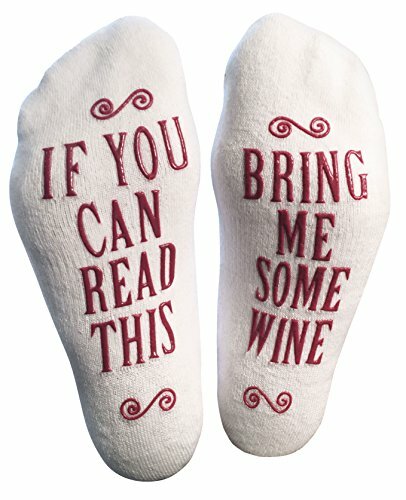 A great stand-alone gift, or you can add a bottle of her favorite wine to make it even more special. This Mother’s Day, celebrate all of your family’s most important events in one sure-to-delight gift! 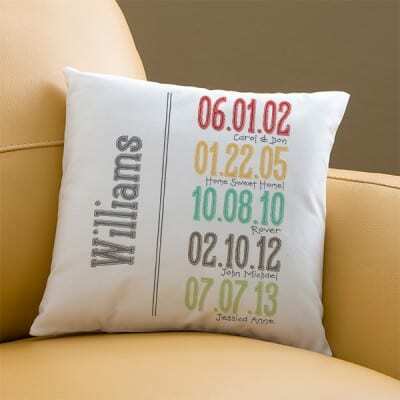 Cheerful throw pillow features your family’s name printed on one side on the throw pillow. The other side features 5 meaningful dates (birthdates, marriage, new home, etc), each with a short description. 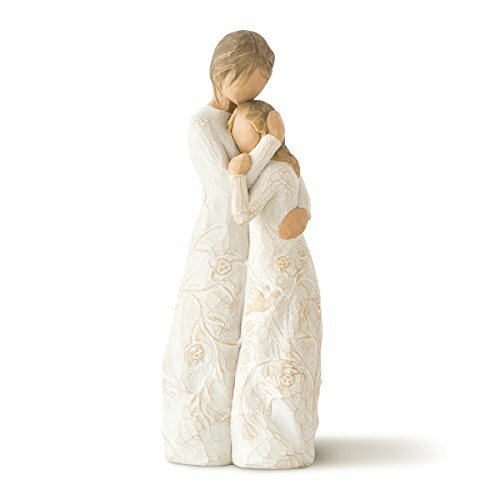 One of our top Mother’s Day gifts for mom 2018, she’ll cherish this super-cute gift for years to come! 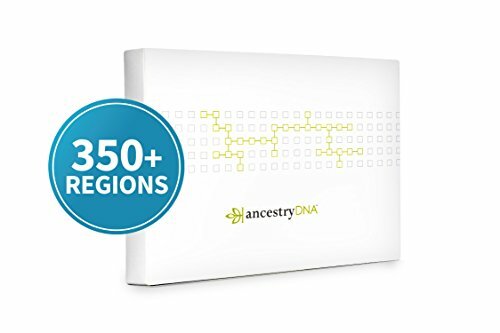 Finally…a Mother’s Day gift that will make her laugh and make your siblings totally jealous of you. 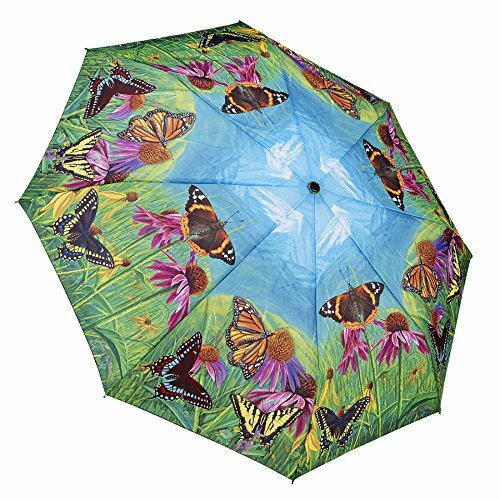 What more could you want in a gift for Mom? 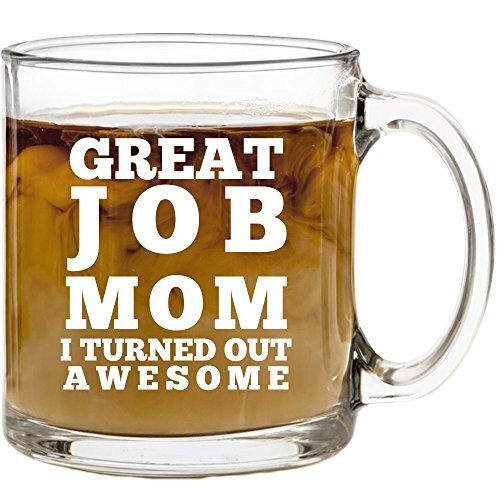 If you really want to nail your favorite child status, you may want to ante up for a new coffee maker for Mom as well! A bright and cheerful way to celebrate Mom's love for her family! Make a fashion statement – and a statement of love – with this dainty necklace for Mom! Mom will appreciate the “I Love You Mom” engraving, as well as the tiny details such as the heart-shaped bail that the charm is attached too. Perfect last minute gift; you can have this by tomorrow! Is Mom a tea lover? 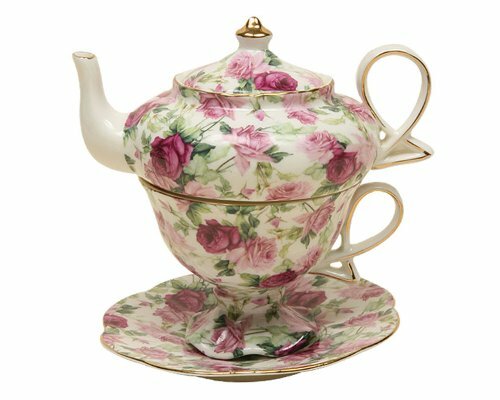 Then delight her this Mother's Day with a gourmet tea sampler! 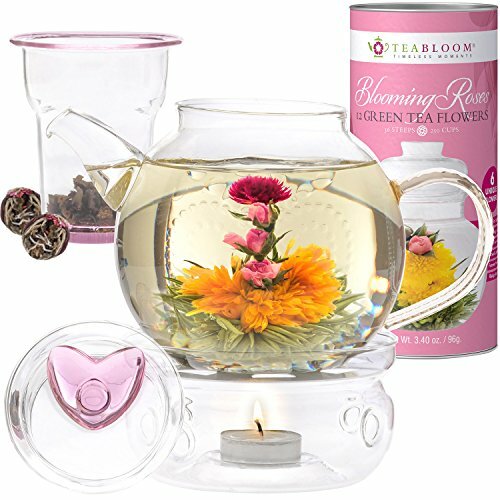 This elegant set features 15 handcrafted pyramid tea infusers in a variety of delicate flavors. Each tea infuser is presented in an elegant gold-lined overwrap - just pop it into a cup of hot water for an exceptional tea experience. 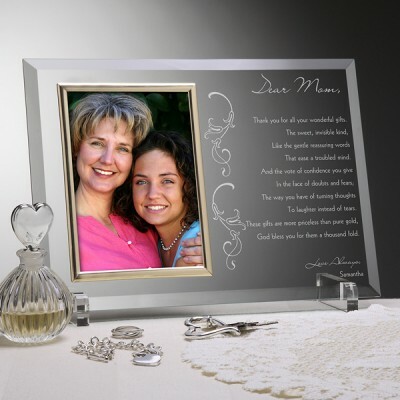 With this high-quality glass frame, you can highlight a priceless moment with a heartfelt poem. You can choose from 6 poems or create your own for a gift that shows Mom just how much you adore her. 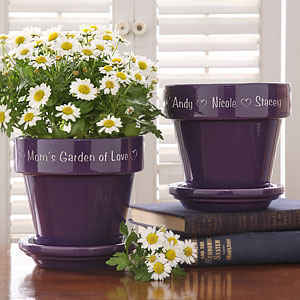 To personalize this present, you can custom engrave any title at top and your loving words at the bottom. 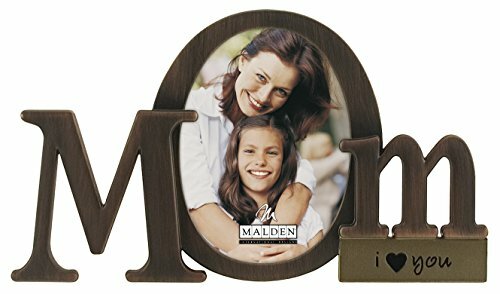 Complete with clear easel legs, this gift is ready to grace a table and help you express your love and appreciation this Mother’s Day. 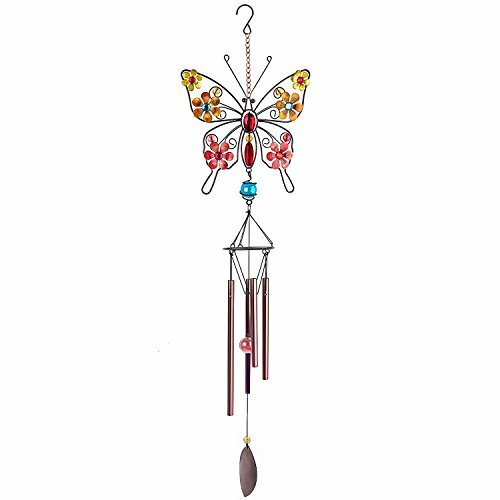 Brighten Mom’s day year round with this cheerful butterfly suncatcher – a gift she’ll love at a price you’ll love! 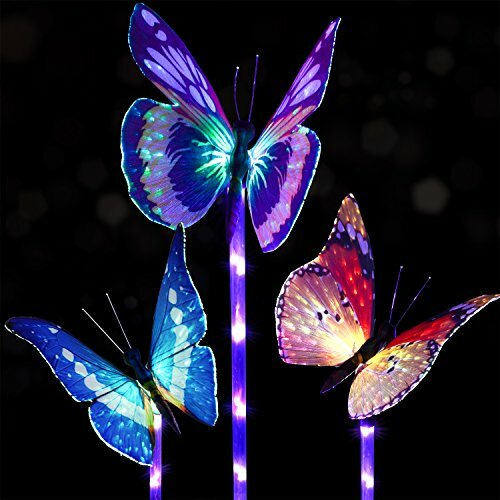 Lovely suncatcher features pressed real flowers inside the butterfly wings. A heart charm that’s engraved with the word “Mom” dangles gracefully below the butterfly. In a hurry? 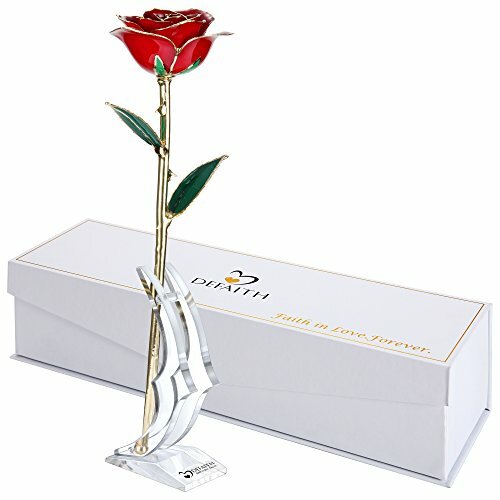 You can have this gift delivered tomorrow! 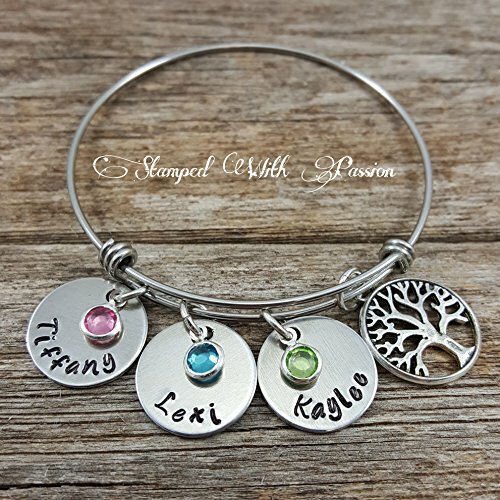 For a Mother’s Day gift that includes the whole family, this brilliant bracelet can be personalized with up to 10 names. 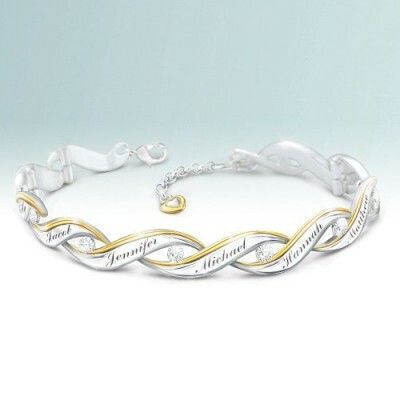 Constructed of sterling silver with 24-karat gold accents, it represents each individual as an invaluable link that helps strengthen and complete the family. To complement your mother’s dazzling demeanor, this handcrafted piece includes 10 genuine diamonds, or one to highlight each unique loved one. Create a uniquely personal gift by filling in the answers to the prompts on this cute little palm-sized book! You can be funny, sentimental, wise – use your own words to describe what you love about your Mom. A great choice for kids or adults to give their mother…and a gift that Mom will want to read again and again! 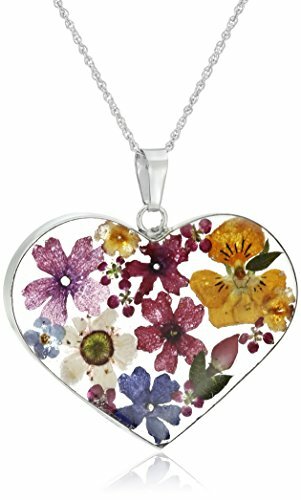 If you want a sweet and stylish Mother’s Day necklace for Mom, this colorful floating charm necklace is an excellent choice! Adorable locket comes with 2 charms and 4 crystals. The locket opens so that you can change the crystals and charms whenever you’d like. 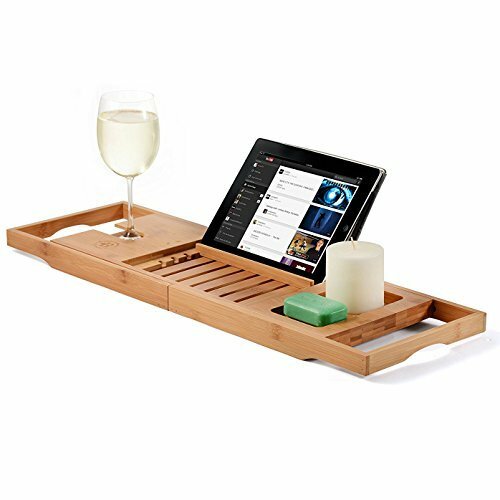 A thoughtful gift that’s perfect for the last minute…take advantage of next day shipping! 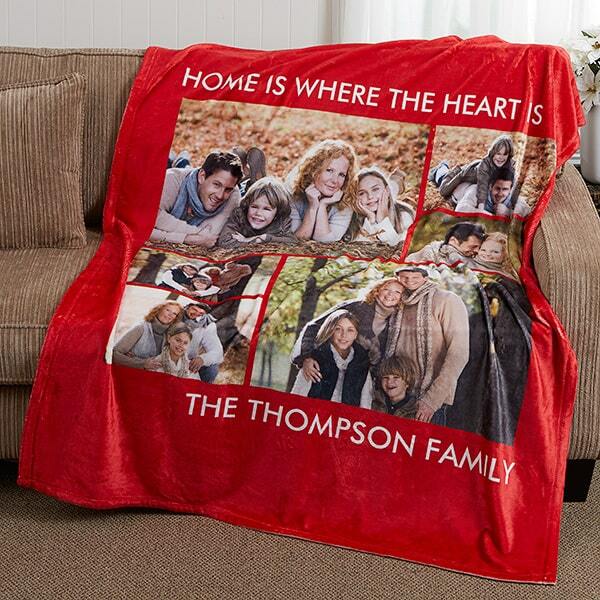 Mom can wrap herself in love all year round when you give her a personalized blanket that features pictures of her loved ones. Add up to 6 pictures and personalize the blanket with any 2 line message to create a custom Mother's Day gift that Mom will treasure for years to come! 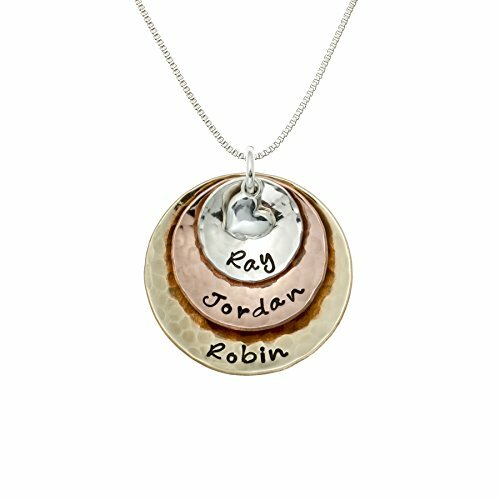 Mom will always feel your love when she wears this brilliant personalized necklace. 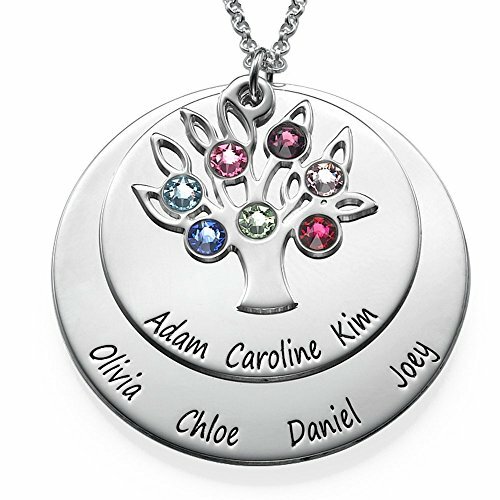 Up to 6 kids’ names are engraved in an elegant script; each name is then accented by a dazzling Austrian crystal birthstone. 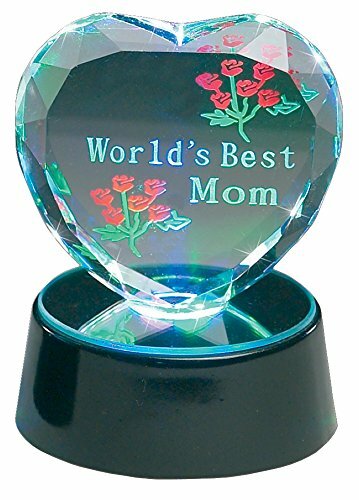 The bottom of the heart features the word “Mom” surrounded by cut-out hearts. 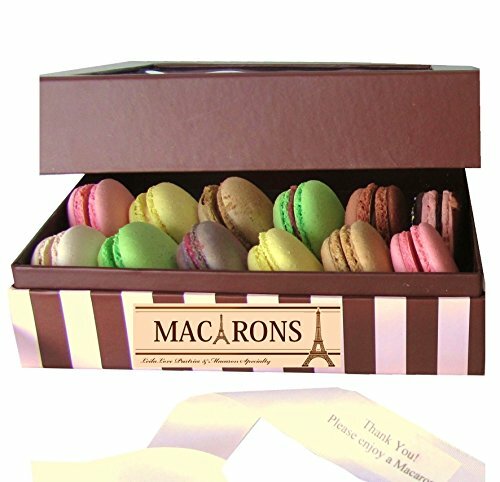 Treat Mom to a delightful gourmet gift basket for Mother's Day...it's a little treasure trove that's chock full of special treats that she can enjoy for several days! 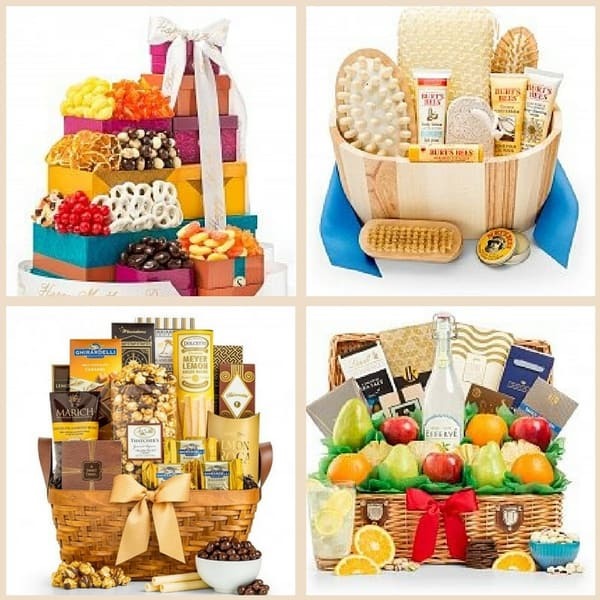 GiftTree is my favorite pick for beautiful, top-quality gift baskets for Mother's Day. 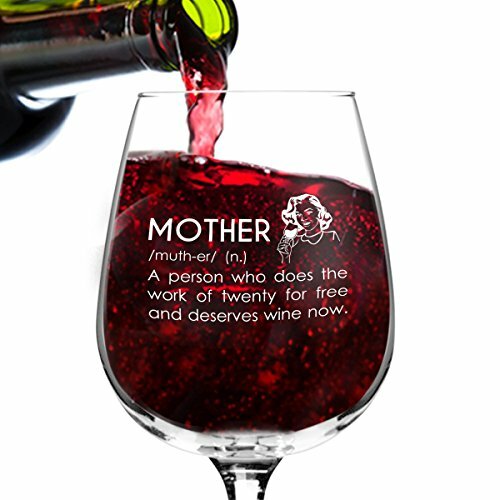 They offer an incredible range of scrumptious gift baskets (including wine and champagne gift baskets), with prices starting at under $25..
Add a personalized ribbon with your own loving “Happy Mother’s Day Message” to create a one-of-a-kind gift just for Mom! 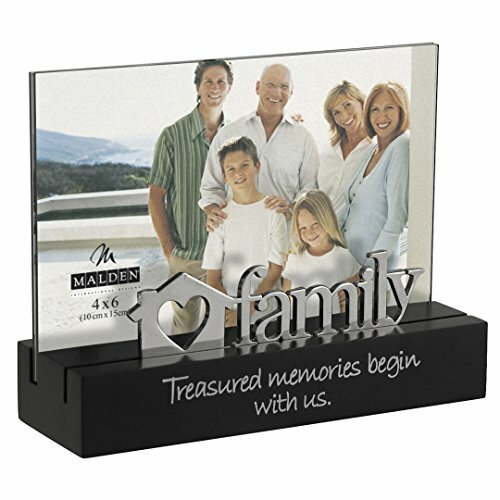 Elegant metal family tree elegantly showcases each family member as the priceless individual they are. 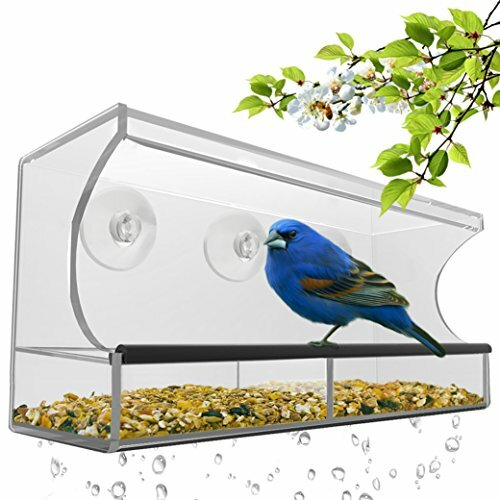 Comes with 6 hanging picture frames, but you can order additional frames if needed. 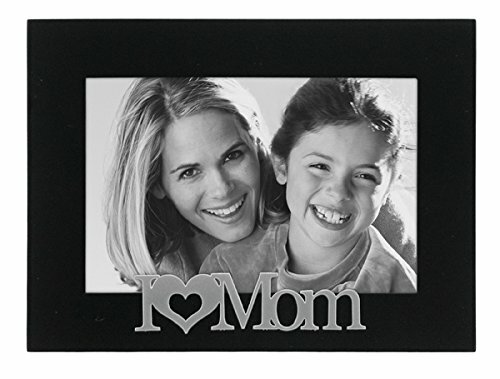 A lovely Mother's Day gift that Mom will be proud to display! 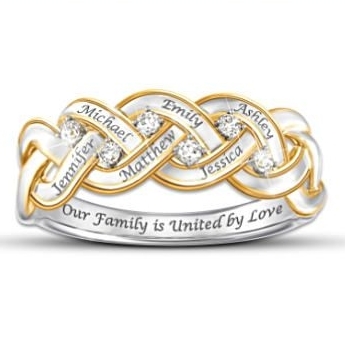 This sterling silver ring with 18-karat, gold-plated accents is a stunning piece as is, but you can transform it into a testament of your family’s love by engraving it with up to 6 names. Nestled within the family member’s names are 6 genuine diamonds. 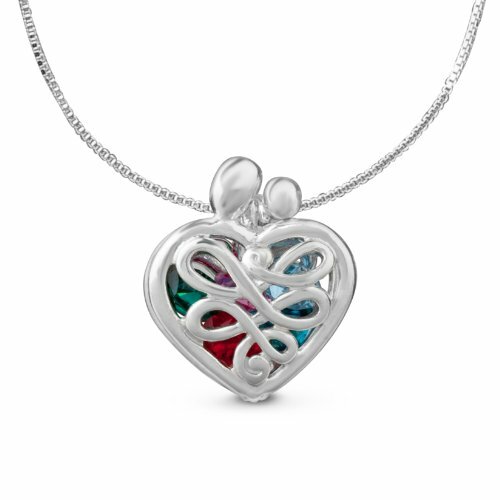 Engraved with “Our Family is United by Love,” this piece is one your mom will cherish forever. 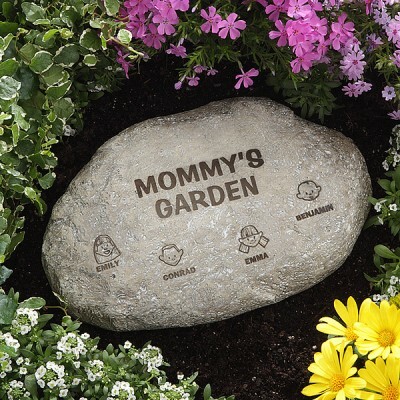 Fill Mom’s garden or entryway with love – and humor – with this delightful Family Character Garden Stepping Stone. The lightweight yet durable resin stone is engraved at the top with any 2 line message you choose. 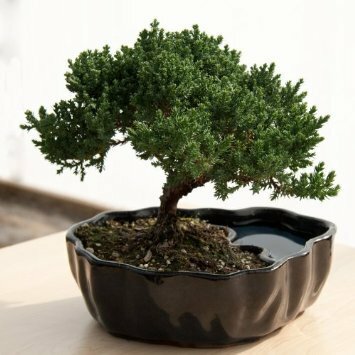 Up to 9 family members (including cats and dogs) are represented by a cheerful cartoon character of your choice, with his or her name engraved below. 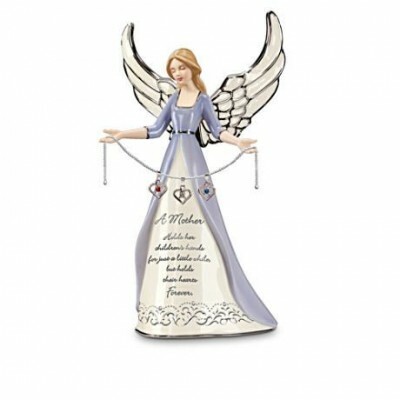 Celebrate Mom’s love with this porcelain angel figurine that holds a personalized birthstone charm for each of her children. Any mother will adore the illustration of holding her children’s hearts forever! Adorable personalized cookie jar is a fabulous Mother's Day gift idea for the Mom who enjoys baking...or always keeps special treats on hand for her family! 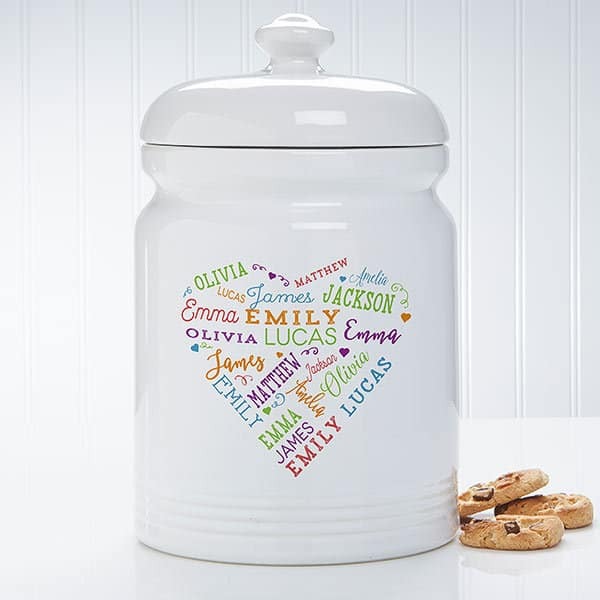 Dishwasher-safe jar features up to 21 names imprinted in repeating fashion in a cute heart-shaped design. 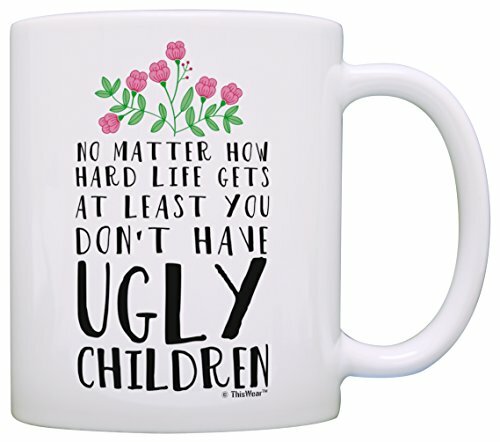 Perfect choice for the Mom with a large family! 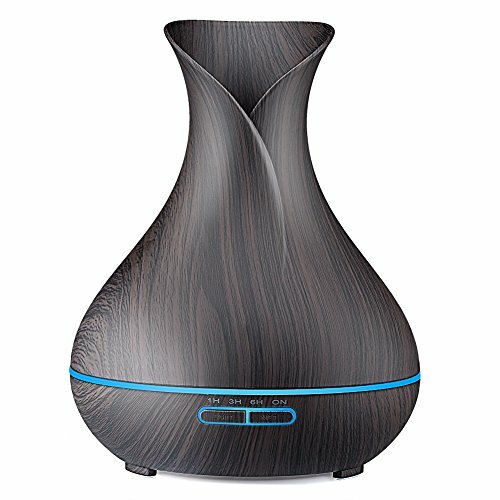 Looking for a unique Mother's Day gift idea for the woman who's a bit stressed? Soothe frayed nerves with this beautiful tree of life necklace! Striking locket opens to store pads that are scented with essential oils to help calm and relax Mom.